Two Sundays ago, my husband and I had the opportunity to share special music at church and for the first time ever, he actually sang with me! And sounded fantastic if you ask me (usually he just plays guitar). But we chose a song that had been weighing on both of our hearts called Hosanna by Hillsong United. As Christians, I think that we think we have a good idea of what breaks God’s heart. Its pretty easy to pick out the “big” ones such as the earthquake and tsunami that struck Japan. As the tears flowed down my cheeks as I watched the news coverage, I knew that God was crying too. I think that we all believe that human suffering in general is high on the list of what breaks His heart but I think sometimes instead of focusing on things like hunger, human trafficking, and the AIDS epidemic in Africa, we zero in on what we think is important. In the faith tradition in which I was raised, homosexuality, divorce, and alcohol were some of the things that were focused on. And while I think that there are things about all three that do break His heart, I think our response is sometimes worse. As a body, sometimes our response includes hate and discrimination. Within our church walls, we gossip about the woman’s marriage that just ended. We shun the recovering addict. We “kindly” let the homosexual know the he is not welcome. I’m not just talking about the crazies who protest at funerals and have the “turn or burn” bumper stickers. How do we treat one another? Do we not think that THAT breaks God’s heart? Do we think we are doing Him a favor? Even within the Christian community, how do we treat others of a different denomination? I once heard from the pulpit of the church I grew up in that the pastor didn’t think it was wrong to be something other than Independent Baptist but that he would “rather go to heaven in a Cadillac instead of a Volkswagon.” I am pretty sure God’s heart broke that day. Another line of the song states, “Show me how to love like You have loved me.” This should be the prayer of our hearts each and every day. What a difference we could make in the world if we could reach out in love instead of hate. If we could build bridges instead of walls among our differences. I am not saying that we need to embrace an “everything goes” policy as His Word still reigns but if we take His Word seriously, then we are called to LOVE. I am far from perfect and many areas where I fail on a daily basis and I have been at a place in life where I almost left the church for good after confessing my struggles and then being shunned for it. It is a place where I never wish to be again and maybe its why this hits so close to home as I know how much different my life would be had someone not reached out in love and kept me from leaving the faith. Heal my heart and make it clean. Break my heart for what breaks Yours. As I walk from earth into eternity. Fantastic post! I love that song, the words are so powerful. I was thinking about the exact same thing the other week as I was playing that song during my devotion time. We sing it at church almost every week and I think we can so often get caught up in going through the motions of attending church “routine” and forget to stop and take the time to realise what we are singing and declaring. Hi! I’m kind of a new follower, not sure if I’ve commented before! I love this post! It’s so true that the church can sometimes seem to show the least love to the world. I think it’s a tough balance to uphold the values God so clearly lays out, but ultimately to show his love to everyone. Tough, but so important. Love this post, so glad you brought this series back. I love this song! Its beautiful and the lyrics speak such truth. Thank you for sharing your thoughts on these lyrics. Loved it! I think the world would be a much better place if we all tried to act as though God were standing next to us. I don’t recall off the top of my head where it is in the scriptures, but it says that God is no respector of persons, which means that he loves everyone. The good and the bad. Although it does break his heart when he sees his children (as I believe we are all his children, which makes us all brothers and sisters) break his commandments and not treat each other as we would want to be treated. Thanks for the reminder today. This post was just what I needed to read. Thank you! 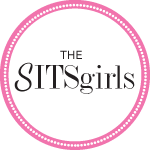 Stopping by from the SITS comment hour!